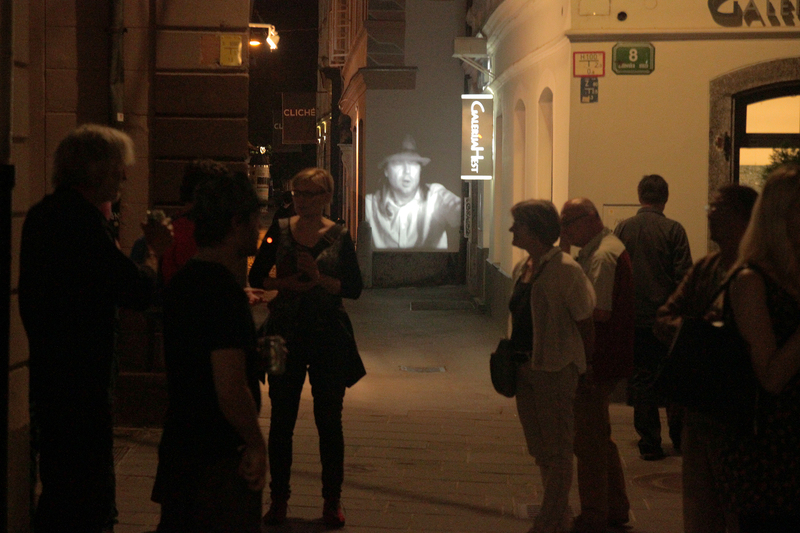 In 2015 I am again running the open-air video gallery called VideoWall in Ljubljana, Židovska street. 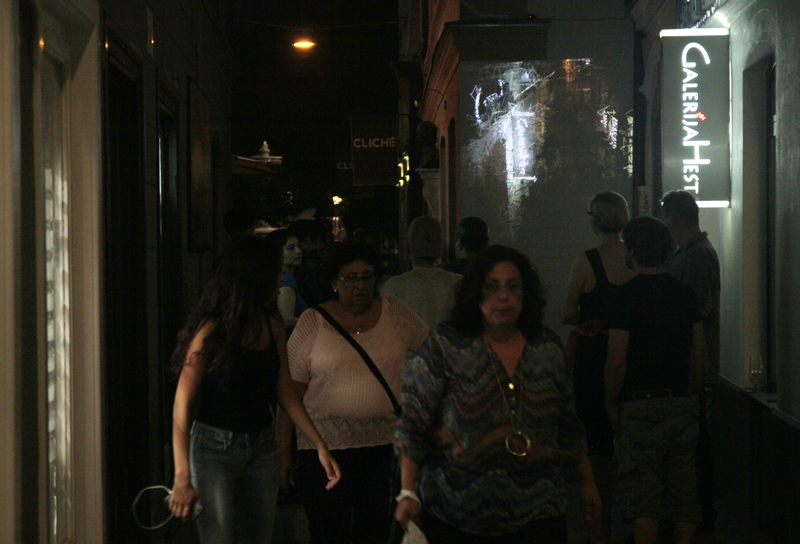 It is a projection of video loops of various selected international artists where projection is changed every two to four weeks. I also participated as performer in Dejan Štefančič’s video Ritual made specially for VideoWall. In summer we hosted artists Emil Brahe (Denmark), Fernando Visockis (Brazil), Ksenija Kovačević (Serbia) and Dejan Štefančič (Slovenia), plus curators Anna Winter and Laura Conway who presented Daniel Daenen’s work. In the winter time we will host Luka Prijatelj (Slovenia), Adrijan Praznik (Slovenia) and Ana Pečar (Slovenia). We also plan to host group exhibitions: Urška Djukić (Slovenia) will mentor a workshop on video remakes on classical paintings; Initiative ČIPke (Slovenia) will show omnibus of cinemagraphs specially made on a workshop for VideoWall. 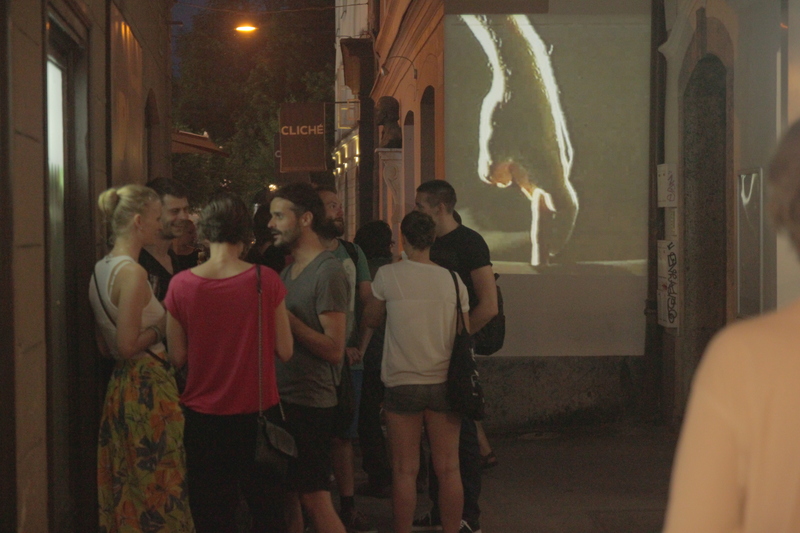 VideoWall is produced by famulVideoLab (KD Galerija GT), cofinanced by City of Ljubljana and supported by Galerija Hest. Executive producer Polona Zupan / Pila Rusjan with assistant Miha Kelemina.